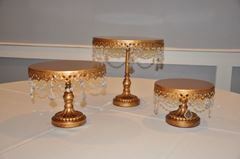 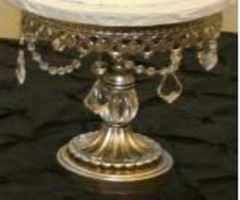 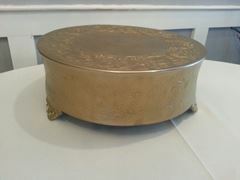 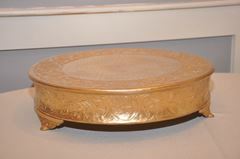 16" Bright gold cake stand - perfect to show off your cake! 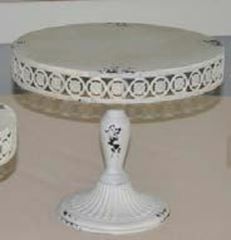 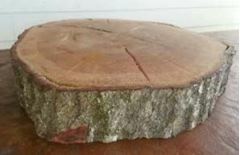 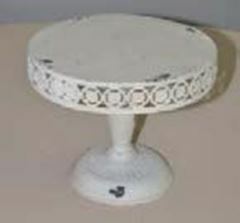 Distressed Antique White Wood Plank Cake Stand. 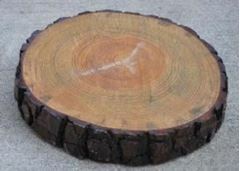 Wood-plank look made of MDF. 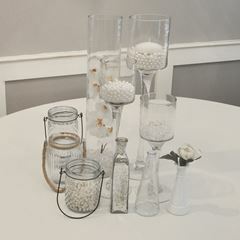 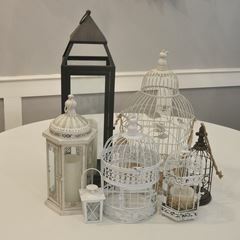 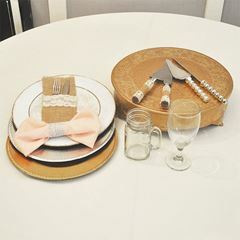 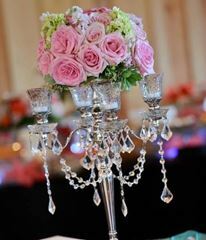 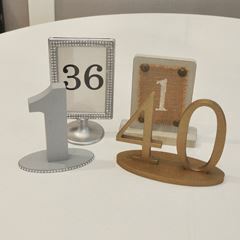 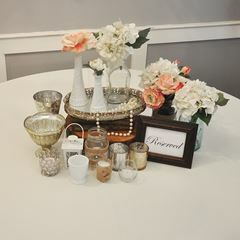 It is perfect for a rustic or backyard wedding!